Georgian-Swiss Blauenstein Georgia commends the country's favourable business environment and plans to expand is investments and production in Georgia, the company's Swiss founder Max Blauenstein stated during today's meeting with Georgian Prime Minister Giorgi Kvirikashvili. According to Max Blauenstein, the Georgian Government's effort seeking to stimulate local production and develop agriculture motivates the company to increase its investments in the country. As of today, Blauenstein Georgia has invested 27 million GEL in Georgia. According to the Prime Minister, such projects are of special importance in the country's high-mountainous regions, and Racha is a model that must be successfully replicated in other mountainous areas, all of which will boost employment among the locals and improve the economic conditions of the rural population. The Georgian-Swiss company established in Racha by businessmen Max Blauenstein and Irakli Kervalishvil makes organic products using traditional methods and, at the same time, employing European standards and recipes. At this point, Blauenstein Georgia operates four main and ten partner farms, along with a plant for initial processing and a trademark store in Tbilisi. 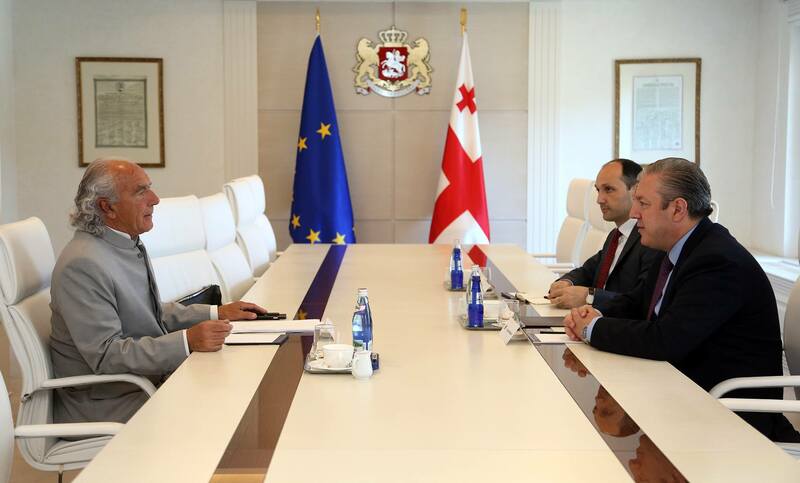 The meeting at the Administration of the Government was attended by Minister of Environment Protection and Agriculture Levan Davitashvili.